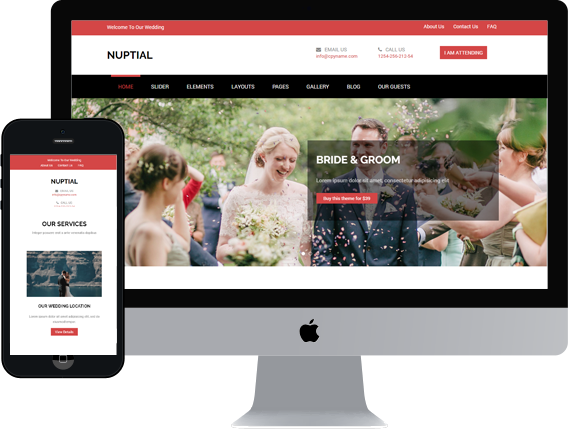 Nuptial is a responsive, clean and grand WordPress theme for all Wedding related web sites. It looks great on all devices and comes with drag and drop page builder. There are hundreds of options available from the theme options to help you customize the theme. It has predefined styling & templates and many features built specially for Wedding, Wedding planner, Engagement, invitation and event.